Sugar is a carbohydrate that gives the body energy and adds a sweet taste to foods. Although the consumer is confronted by a wide variety of sugars -- sucrose, raw sugar, turbinado sugar, brown sugar, honey, corn syrup -- there is no significant difference in the nutritional content or energy each provides, and therefore no nutritional advantage of one over another. The juices of sugar cane and sugar beets are processed to produce many types of white and brown sugars. Any of these products will add balance, volume, texture, and taste to recipes. White, or granulated, sugar is the most widely available and is used in more recipes than any other ingredient. While sugar cane was originally discovered as a food source on South Pacific islands, it was India that produced the first extract known as “gur.” Originally called a spice, sugar was prized and referred to as “white gold” because of its high cost. 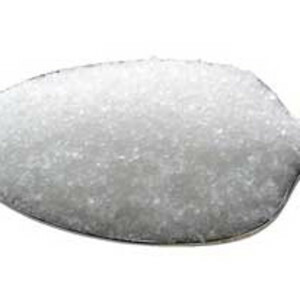 White sugars –Each type of white sugar has specific uses. Granulated - Called refined, table, or white. Caster (castor) – Also labeled as superfine. Pearl – Known as decorator’s sugar, the large crystals are used as toppings. Sanding – Large sparkling crystals that are also used for decoration. Powdered or Confectioner’s – Also called icing sugar. Quick-dissolving and used for both baking and decoration. Light and dark brown sugars – These include an array of sugars, including palm, molasses, piloncillo (Mexican), turbinado, and muscovada. Most recipes require the more common “pure cane” sugars found on U.S. grocery shelves. Jaggery (palm) is an Indian brown sugar sold in ethnic markets. Granulated browns are good for adding to prepared foods, such as cereal, but should not be used for baking. Specialty markets may carry crystals, including misri (India) and yellow rock (Chinese). A version called invert sugar is sold almost exclusively to the industry. It has a sweeter taste, which reduces quantity used in commercial foods. “Fruit” sugars are added to powdered dessert and drink mixes. Sugars do not require refrigeration, but should be kept cool and dry in airtight containers. Over time, sugars begin to harden due to loss of moisture. There are several ways to soften most types. You can bake them at 250 degrees in the oven or microwave in a bowl alongside a cup of water.